The Amalfi Drive is one of the most spectacular coastal roads in Europe and passes through some absolutely stunning scenery. 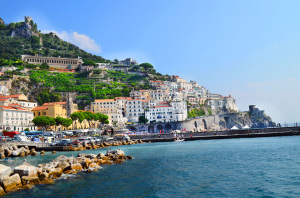 Starting from Sorrento, it winds its way along the cliff edge offering breathtaking views until it reaches Amalfi, one of the four Ancient Maritime Republics and birthplace of Flavio Gioia, inventor of the magnetic compass. 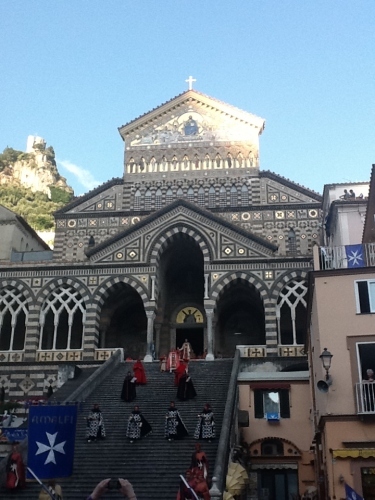 In the centre of Amalfi stands the imposing IX-century cathedral with its famous striking façade decorated with gilded XIX-century mosaics. 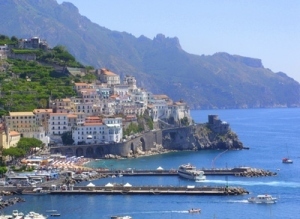 We have several excursions on offer for you to enjoy this specatacular coastline. We look forward to introducing you to this world famous coastline.